Eighteen minutes left on my timer. One more hour left in the manga cafe. Day 440 of 595 of a paid Japanese immersion experience called Silverspoon. (I’m listening to Japanese Youtube as I write.) ￥900 to be in this booth. I paid a heck of a lot more to get motivational emails and study sprint suggestions from Silverspoon. I’m working and also having fun. I am playing Samurai money games. As my time in Japan approaches, I have to make financial decisions. 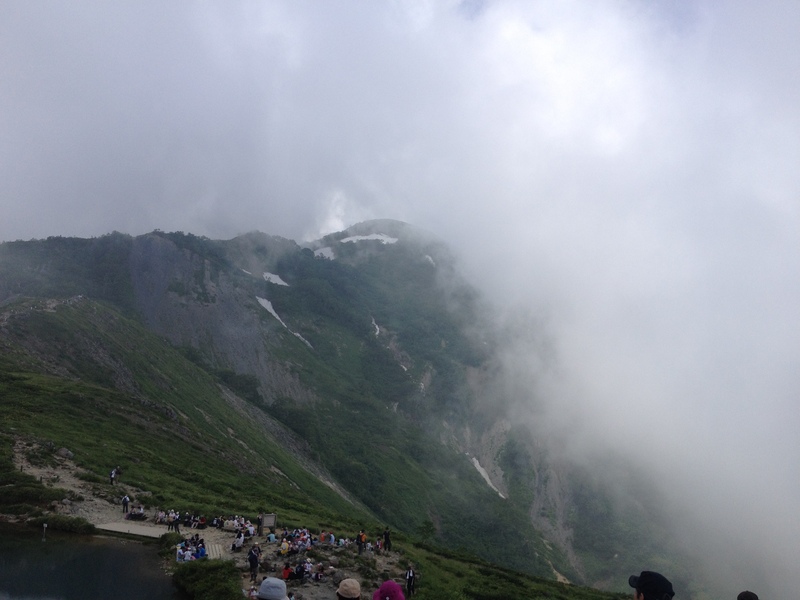 I decided to go on an expensive trip to Hakuba in Nagano with Japanese seniors. Fun times included listening to the same enka recording for the eight hour commute. Pay for a ‘coach’ to keep yourself on track. Honor the energy of money. Use the fact that you have paid money for a service as a motivator to keep going. Keep it fun. Release your death grip on money. Give some away. I’m talking about books, apps, gadgets, etc. One well-used book or app can create thousands of dollars of value in learning. For example, I play a little game with my Midori Japanese dictionary app. I paid a mere $10 for this app but I try to get the most out of it. I look at the history of the words that I have looked up and review what I studied one day, two days, four days, and a week ago. (a rough form of spaced repetition) I play around with flashcards when I am on the bus, at appointments, etc. I may have already learned more vocabulary by doing this than if I had spent hundreds of dollars in Japanese classes. Squeeze the value out of books. 毎朝１分で人生は変わる：One Minute, One Action in the Morning Will Change Your Life　suggests getting the most out of a book by reading it several times and reviewing it at night. 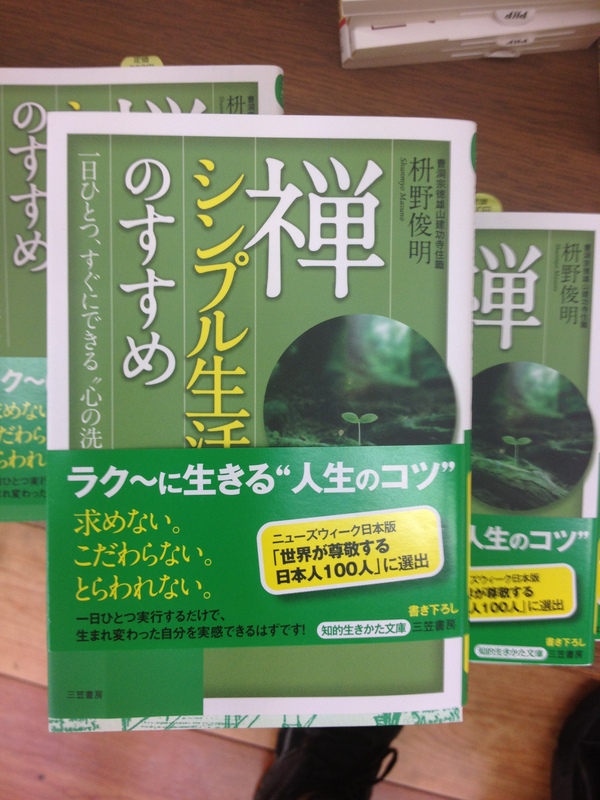 Another Japanese author suggests beating up your books (not library books), and even taking it to the bath with you. Move on when you don’t feel the life force in a book anymore. You keep yourself on track, but it’s good to have someone pushing, prodding and creative alternatives. You can go to the gym and you can also get a personal trainer. A personal trainer costs more but it’s all part of putting your money where your mouth is. I pay what some might consider a hefty sum to do Silverspoon (a Japanese coaching service from ajatt.com), but in part the money keeps me on track. If ajatt.com is the gym, then Silverspoon is like a personal trainer, switching it up like a ninja. Sometimes the value you get from the extra push is worth a lot more than what you pay. 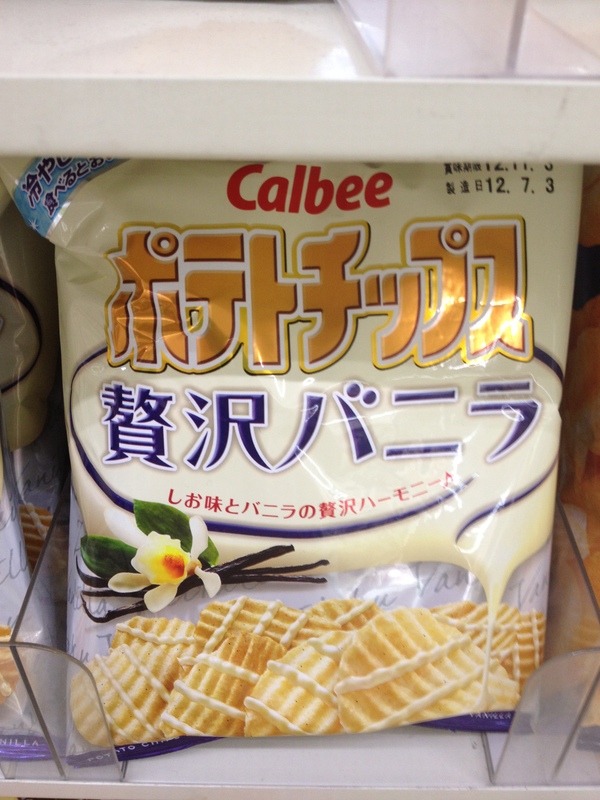 I passed on the vanilla icing covered potato chips. Paying money is a way to bookmark is skills and knowledge you want to have. I currently pay for three services to help me keep moving forward in my goal of learning Japanese: Japanesepod101.com, Iknow.co.jp and Silverspoon. They add to my palette of Japanese learning. When I get bored with one system, I move on to another. I’ve also donated to kanji.koohii.com and anki.ichi.net, which are free but invaluable systems that have helped me. I also subscribe to jamplay.com, a guitar learning website but haven’t actually been playing. However, I am keeping this service as a bookmark and motivator of where I want to go. Money is like a samurai sword. If you are too loose with it, you easily lose any advantage. If you grip too tight, you lose your fluidity. (BTW I have never held a samurai sword–too sharp and scary!) Give some of your money away to good causes, frivolous games, friends in need. I don’t know how and if this works, but I do it and I like it. Sometimes you have to try something new and not be calculating about money. 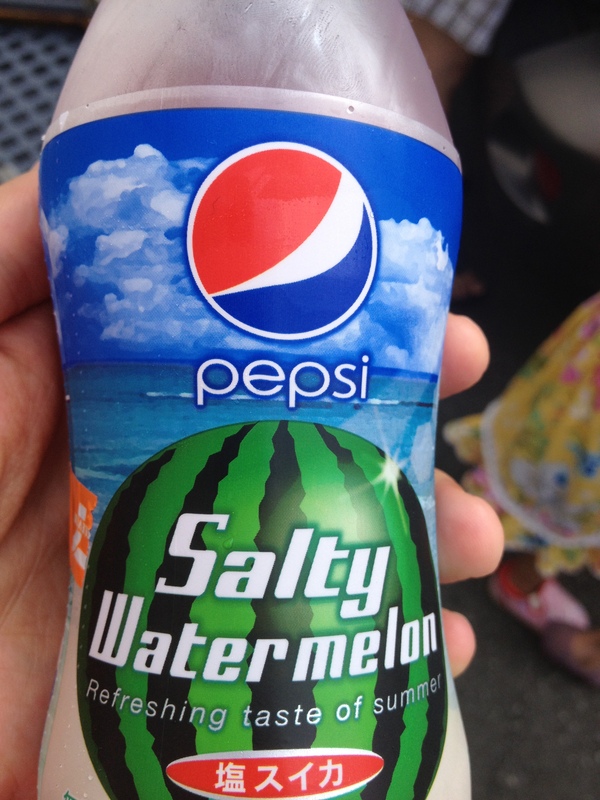 Give to a charity or buy Salty Watermelon Pepsi! Money is energy. Respect it. Have fun with it. Share it with love. Play samurai money games. Hey, could you write a review on Silverspoon? Thanks for reading! I will definitely think about that.